Gaunoux is an old Côte de Beaune family whose most famous member was Henri Gaunoux—a celebrated vigneron in the decades on either side of the second war. 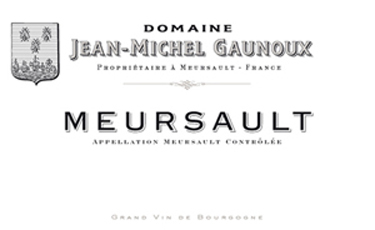 Upon his death in 1972 his estate was divided among his family, and his two sons consolidated the vineyard parcels into two domaines: Domaine François Gaunoux in Meursault, and Domaine Michel Gaunoux in Pommard. Henri’s grandson, Jean-Michel, went to work side by side with François in 1978. In 1990, Jean-Michel split with his father and started his own domaine with vineyard parcels from his mother’s family. In 1991, he put in a new cellar and ageing rooms. The domaine farms nearly six hectares, or 14.5 acres, in the villages of Meursault, Pommard, Puligny-Montrachet, and Volnay. Production is just about evenly split between Pinot and Chardonnay. The distinguishing characteristic of his wines is their regal nature. These are self-assured wines, without need of flash or pizzazz (you won’t find big extractions, high toast oak, or the like here). They know themselves and are solidly built, pure, long, very mineral, and age-worthy. The French wine-growing region of Burgundy is legendary for both red Burgundy (Pinot Noir) and white Burgundy wines (Chardonnay). Burgundy lies on the eastern side of France and covers just over 100 miles. Burgundy's moderate climate with warm summers and cold winters allow the high-maintenance Pinot Noir grape to grow particularly well. Burgundy wines come from several distinct sub-regions, each with its own particular character. White Burgundy is a Chardonnay Lover's delight, Pouilly-Fuisse is the appellation known for the finest white wines of the Maconnais region in southern Burgundy. Chablis is located in northern Burgundy and produces light, dry wines from the Chardonnay grape. Beaujolais is an important wine region famous for its vibrant, fruity red wines made from Gamay.